NEW! 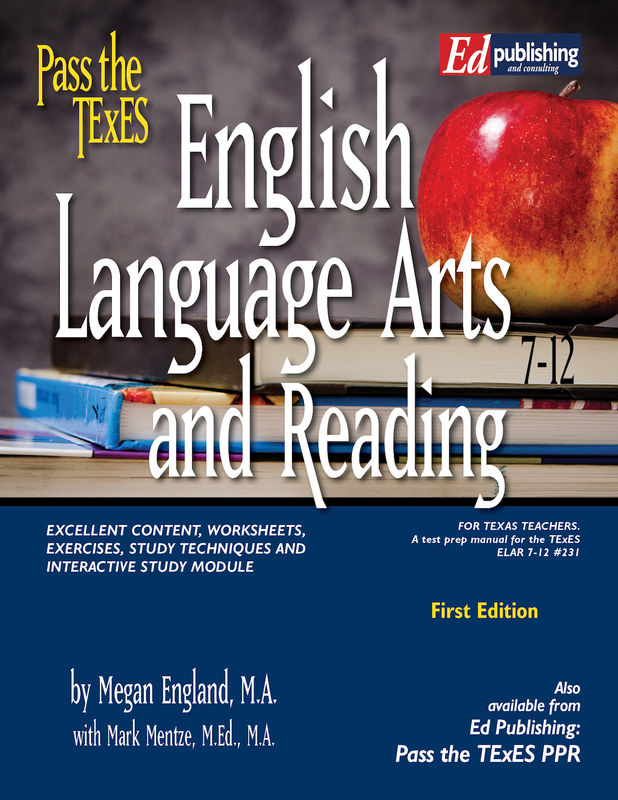 The Pass the TExES TEM (TExES Ebook Module) for the ELAR 7-12 #231 is available for purchase now at 20% off through April! 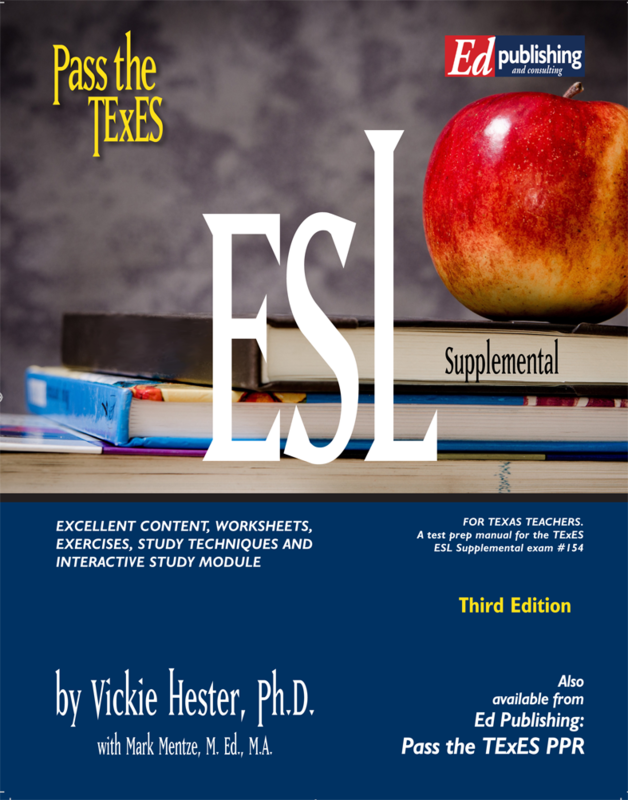 This module is available for purchase now for individual teachers preparing for testing. (Institutions are only able to purchase through our institution volume discount programs due to copyright restrictions. Please contact us for more info.) Delivery the end of the week of April 22. You can preview a brief look at our courses by selecting the yellow button above and you will actually see a sample of our Bilingual Supplemental course. All of our online courses are designed in the same way, and you can work on them at your own pace. 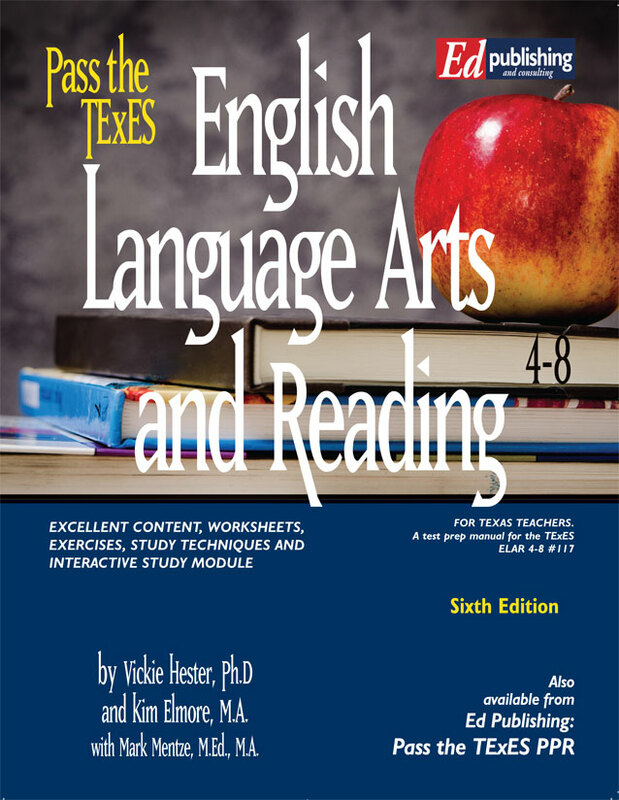 They also include the Pass the TExES ebook within the course. To read more about this program and its author(s) see the full description at the ebook or hard copy book listing back on the home page. Our courses offer a unique and effective way to study for the test...you will have our excellent study content, study exercises, test prep worksheets, official state manual and PowerPoint® module, all in one online course.